Hello friends!! Wow... time sure is flying!! Christmas is right around the corner. Spent the last several days putting up our two Christmas trees. I was worried it was going to take me longer, but thankfully it didn't... yay!!! May try to take pictures of them at some point... both are decorated entirely in Hallmark ornaments are pretty darn cute! Anywhoo... inbetween getting the trees outs of storage, along with all those Hallmark ornaments, putting them up and decorating them, I managed to get a few cards made. 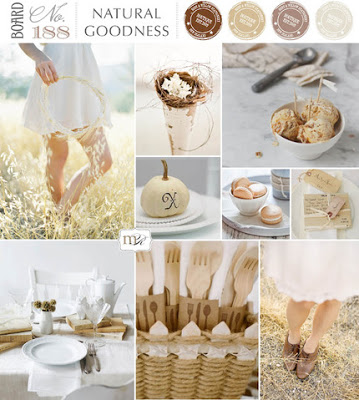 The one I'm sharing today is for the current Catered Crop challenge (Silver & Gold... I went with silver) and the current Deconstructed Sketch challenge. The card was made using things that were close at hand on my kitchen counter. The patterned paper is from a Stampin Up! designer paper pack from last year called Frostwood Lodge. The stamp is from a new Hero Arts set Heavens Rejoice. I stamped the sentiment using VersaMark watermark ink, applied silver ultrafine embossing powder and heat set it. When I was done I was quite surprised at how nicely the embossing turned out. Sometimes when I embossed sentiments the wording can end up not so clear, but this time it was perfect. The fishtail flag banners were cut using my MFT fishtail flag stax dies. Finished things off with some red bakers twine and two silver bells. hello there... i'm back!! here with my card for this week's CASology challenge. the cue word this week is time. lots of different directions you can go in with this one. our quest designer this week is the very talented N@. All the details can be found here. 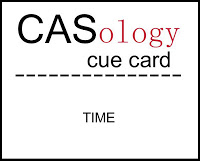 i have to admit that when i saw the cue word my first thought was to use a clock. but i don't have any clock images in my collection. that left me with only one option... get outside my box and put my thinking cap on! 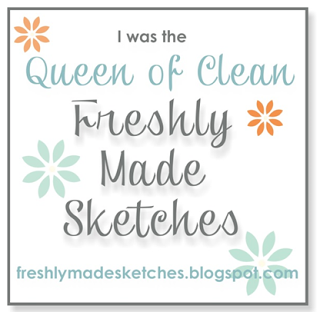 so i thought and thought some more... then i remembered that last week i had made a card for a splitcoaststampers challenge that used a lovely new stamp i had recently gotten from penny black. the stamp is appropriately titled "time". i had paired that stamp with another penny black stamp and used the emboss/resist technique for the card. i decided to sort of recreate that card, but keeping this one more CAS than the other card. i did this by stamping the sentiment in black ink, stamping the 2nd image over the top with versamark watermark ink, applied embossing powder and then heat set. After that I applied Chipped Sapphire and Dusty Concord distress ink to the piece. The final step was to die cut the image using a Spellbinders plain long rectangle die. The finished piece was then adhered to the center of a white card base using foam dimensionals. here is a close up shot of the sentiment... isn't it beautiful? i just love so many of sentiments that you can get from penny black. thanks for stopping by....make sure you check out the cards from the rest of the design team: Melissa, Tracey, Jen, Ardyth and this week's guest designer, N@! can't wait to see what you come up with using this week's cue word! Hello friends!! Tuesday is here and that means time for a brand new Shining the Light challenge!! This week the challenge team is asking you to make a holiday card that has an ornament or something hanging on it. For my card this week I used the brand new Chickadee Ornament set. This is the last week with our fabulous guest designer, Barbara. Please make sure you check out her blog and leave her some love. I kept things really simple and just let the chickadee ornament shine. I stamped the ornament image using Memento Tuxedo black ink and then die cut it using a Spellbinders plain circle die. Once it was die cut I colored the image with Copic markers. Some red cardstock was die cut using another plain circle die to use as a mat for the ornament image. The little hanger was stamped using Delicata Golden Glitz ink, trimmed out and adhered to the ornament. The ornament was matted with the red circle and then the bakers twine was adhered to the back. Some additional baker's twine was tied in a bow. The white cardstock piece was embossed using my SU!/Sizzix woodgrain embossing folder and then inked with some Old Paper distress ink. At the time I took the photo the ornament is actually hanging free. I didn't put a sentiment on the front, but will add that to the inside at a later date. As always, we will be giving out a prize, a $15.00 gift certificate to be used toward stamps at the Our Daily Bread Designs store!!! Entries for the prize must be submitted by Sunday, December 1st at 8:00 pm EST. One random winner will be chosen and announced on Tuesday. While it is not required to use Our Daily Bread Design images and sentiments on your projects, we would definitely love to see them if you have them!! As a way of recognizing those who do use ODBD stamps we will be choosing three or more of our participants for the Shining the Light Award. In order to qualify for this award or join the challenge, you must use ODBD stamps and have your submission added to Mr. Linky by Sunday, December 1st at 8:00 pm EST. 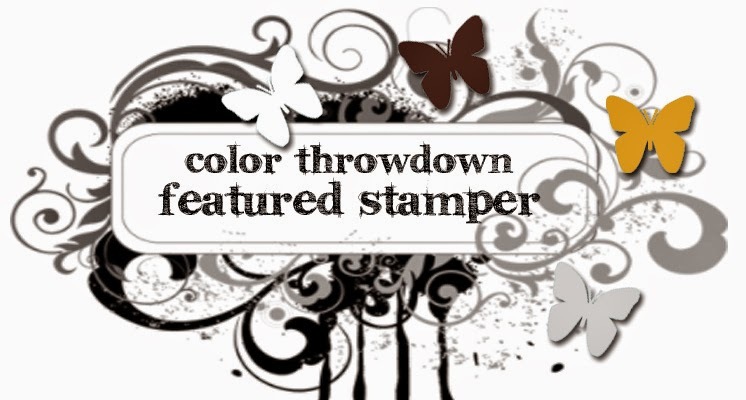 If you upload to Splitcoaststampers or any other online gallery, please use the keyword: ODBDSLC132. When creating your post on your blog, please include a direct link to the challenge. 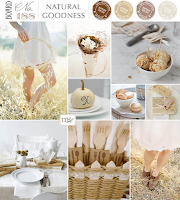 Thanks for stopping by... please take some time to check out the beautiful projects created by my fellow "sticks" Lori, Jan Marie, Jan, Kathy, Chris, and this month's guest designer, Barbara! To join in the fun, please click here. hello friends! here with a card for several challenges: Less is More - Glitz & Glamour; Retro Sketches & Dynamic Duos. love it when saturday morning rolls around and i can see what the new LIM challenge is going to be for the week. i also love checking a few other favorite challenges like Dynamic Duos to see if i can somehow fit a couple of them together. was so glad to see that i was able to make one card for three!! love it when that happens! 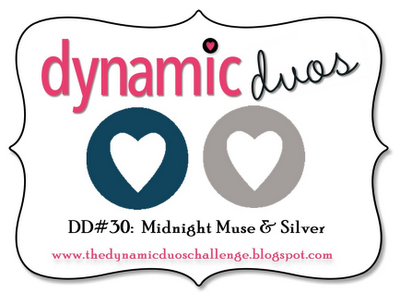 the Dynamic Duos colors this week are midnight muse (a navy-bluish color) and silver... fit perfectly with the LIM challenge as i have lots of silver bling! 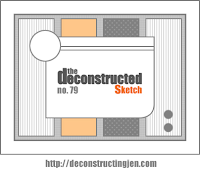 then i checked out the new Retro Sketch and thought... hmmm i can use that lovely sketch for my card! the card base is made using midnight muse cardstock and the ribbon is PTI's enchanted evening... which is a pretty good match for midnight muse. the ink is versamagic ocean depths. the bling is from recollections. i used several flourishes from the package and cut them up to suit my purpose. in addition to the silver bling i used a bit of silver washi tape, as well. pretty satisfied with the overall card although i may take a new photo of it in daylight... then maybe the washi tape will show up better! must say a big thank you to allyson and deanna over at dynamic duos... lovely allyson picked my card as the winning card for dynamic duos challenge #28 and then this past week the super sweet deanna picked my card as a dynamic darling for challenge #29! thanks, ladies!! hello!! i'm back with my card for this week's CASology challenge. 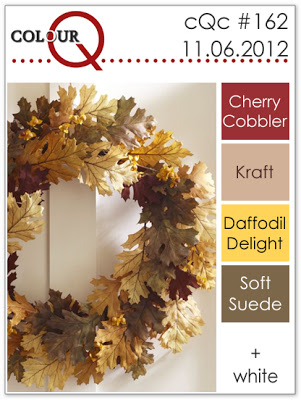 here in the USA thanksgiving is just a few days away and our cue word this week is "gobble"! how fun is that??? i can tell you that the design team has come up with some really clever cards! this week we are joined by our super talented guest designer... donna!! yay...woot, woot!! you can find all the details for the challenge here. i'm going to be real honest when i say that i was really worried about being able to come up with something for this week's CASology challenge. 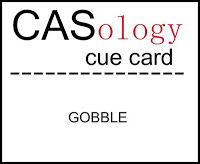 when i saw the cue word "gobble" all i could think of was something food related... more specifically... turkey! okay, i admit it i'm not the most original thinker... hee!! but then i had another problem... only one small turkey stamp in my entirely too large stamp collection! ugh... what to do, what to do??!!! so i headed off to joann's to see what they might have in store for me and as i was wandering the papercrafting aisles i saw this little googly-eyed turkey peering at me from a package of k&co stickers. an idea was finally forming, thank goodness!! putting the card together was pretty simple... some die cutting, applying the sticker and then handwriting the sentiment on the little tag. i was going to use the word "run" on the tag, but then i thought it would be funnier to use the word "yum" with the question mark. i ran it past my 13 year old and he thought it was hilarious. but honestly.. what does a 13 year old or me know? thanks for stopping by....make sure you check out the cards from the rest of the design team: Melissa, Tracey, Jen, Ardyth and this week's guest designer, donna. can't wait to see what you come up with using this week's cue word! Hello friends!! It is Tuesday and that means time for a brand new Shining the Light challenge!! This week the challenge team is asking you to make a holiday project, Christmas or Thanksgivings, the choice is yours or you could make a card for both!! I decided to make a Christmas card using the recently release ODBD set Perfect Gift. The layout for my card is based on this month's Sketch for You To Try. The papers are from My Mind's Eye (of course!!)... the Winter Wonderland collection. I stamped the tree using Memento Tuxedo Black ink, colored it with Copic markers and then trimmed it out. It is hard to see, but some of the ornaments were not colored, but filled in using Diamond Stickles... looks really pretty in real life. 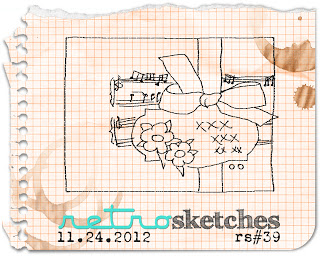 I also stamped the two little images of Christmas packages in Tuxedo Black, colored them and trimmed them out. I added some texture to the light blue piece of paper by embossing it with my Swiss Dot embossing folder. The die cut is a Spellbinders Lacy Circles. The interior of the card was finished off with the sentiment die cut using a Spellbinders plain circle die. It was then matted with an additional plain circle and another Lacy Circle die cut. I like to finish off the interior of the card and provide a photo, but for some reason lots of people don't seem to understand that it is the INSIDE OF THE CARD because I get comments on how pretty the second card is! Anywhoo... the above photo is of the INSIDE of the card and not a separate card. As always, we will be giving out a prize, a $15.00 gift certificate to be used toward stamps at the Our Daily Bread Designs store!!! Entries for the prize must be submitted by Sunday, November 25th at 8:00 pm EST. One random winner will be chosen and announced on Tuesday. While it is not required to use Our Daily Bread Design images and sentiments on your projects, we would definitely love to see them if you have them!! As a way of recognizing those who do use ODBD stamps we will be choosing three or more of our participants for the Shining the Light Award. In order to qualify for this award or join the challenge, you must use ODBD stamps and have your submission added to Mr. Linky by Sunday, November 25th at 8:00 pm EST. If you upload to Splitcoaststampers or any other online gallery, please use the keyword: ODBDSLC131. When creating your post on your blog, please include a direct link to the challenge. hello friends!! it is an ugly grey and wet day here in washington state... it seems our typical late fall/early winter weather has finally set in... ugh!! i was so enjoying all the really nice days we had been having lately... sigh! 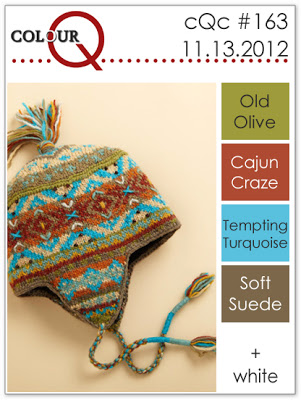 anywhoo... have a little card i made for this week's Less is More challenge and the current ColourQ combo. this card may look familiar to some of you because it is basically a redo of a card i made a few weeks ago. there was nothing wrong with the first card... in fact i loved how it turned out and that is why i decided to recreate it using the colors from ColourQ and adding a bit of hardware (the butterfly charm) to satisfy this week's Less is More challenge. all the stamps are from some of my favorite stampin up! sets. i do love collage stamping and figuring out how to layer the colors and images so that everything looks harmonious. this particular group of stamps makes it easy to achieve that harmony because they all work so well together. hello friends! got a chance to make a card for the current flourishes challenge. i love flourishes stamps, but lately it seems i hardly ever get a chance to get something done for their weekly challenges. but i loved the inspiration photo for this week's challenge and was determined to get something made. 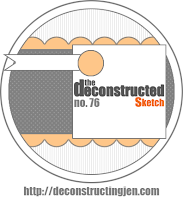 i used the current deconstructed sketch to help me along. i'm pretty happy with how well this card turned out given the fact that i have been dealing with a migraine all day. i hate migraines!!! i don't get really, really bad ones like some people do, but occasionally i will get one that just saps my energy. i have that kind today.... dinner will be pizza!! anywhoo... i used one of my favorite flourishes sets, sunflowers, along with my very favorite dies... my favorite things fishtail flag stax. i use them so much i think i'm going to wear them out!! papers are from my mind's eye lost & found 2 sunshine 6x6 pad. hello!!! i'm back with my post for this week's CASology challenge. so many wonderful and clever entries for our orange challenge! 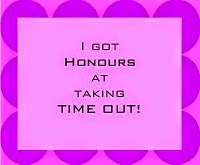 i always have soo much fun checking out all the entries each week and many, many times i find myself thinking "doh! why didn't i think of that???" this week the cue word is "thanks" and with thanksgiving right around the corner... well the options are endless! 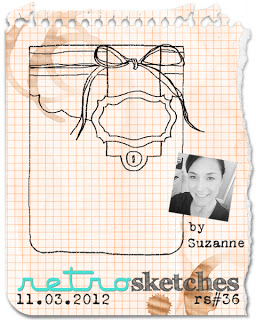 our guest designer this week is the super clever and talented shelly! i decided to have a little bit more fun with my alphabet dies this week. instead of using the positive letters i used the negative image. my card is really, really simple and really quite easy to execute. you just need to make sure you spend the bit of extra time to make sure that all the letters are lined up and centered. another tip to share. this one relates to washi tape and you may already know this one. i have a hard time using washi tape on my cards for the simple reason that i often don't like how it looks once i have added it to my card. but i discovered that washi tape is absolutely perfect for holding down your dies and comes off easily with no leftover residue. so if you have some washi tape and can't figure out what to do with it use it to hold down your dies!! okay... on to my card. i cut my white cardstock piece and then laid out the alpha bet dies on the cardstock. i used a ruler to adjust the letters so that they were as close to the center of the cardstock as possible. once that was done i taped them down with my washi tape and ran the piece through my big shot. some fun polka dot paper was adhered to the back and then the entire piece adhere to the cardbase. even with taking the time to center the letter i think this card didn't take me more than 15 minutes to make. thanks for stopping by....make sure you check out the cards from the rest of the design team: Melissa, Tracey, Jen, Ardyth and this week's guest designer, Shelly! can't wait to see what you come up with using this week's cue word! Hello friends!! Tuesday is here and that means time for a brand new Shining the Light challenge! This week the challenge team is asking you to use silver or gold on your project. And we continue to welcome the uber talented Barbara as our guest designer!!! ODBD has so many beautiful Christmas stamps and one of them is the set called His Gift. This set features a beautiful collage like image of a poinsettia. I love poinsettias and just had to add this set to my ODBD collection. This was the set I chose to use for my card today. I stamped the image using VersaMagic watermark ink, applied ultrafine silver embossing powder and then heat set the image. Once that was done I die cut the image using a Spellbinders plain rectangle die. I pulled aqua and kraft papers from the My Mind's Eye All is Bright 6x6 pad to coordinate with the silver embossed image. Some of the paper was die cut using a Spellbinders Scalloped rectangle die to use as a mat for the image. The sentiment is from the ODBD set Poinsettia Tag. The card was finished off with some lace and kraft colored ribbon. As always, we will be giving out a prize, a $15.00 gift certificate to be used toward stamps at the Our Daily Bread Designs store!!! Entries for the prize must be submitted by Sunday, November 18th at 8:00 pm EST. One random winner will be chosen and announced on Tuesday. While it is not required to use Our Daily Bread Design images and sentiments on your projects, we would definitely love to see them if you have them!! As a way of recognizing those who do use ODBD stamps we will be choosing three or more of our participants for the Shining the Light Award. In order to qualify for this award or join the challenge, you must use ODBD stamps and have your submission added to Mr. Linky by Sunday, November 18th at 8:00 pm EST. If you upload to Splitcoaststampers or any other online gallery, please use the keyword: ODBDSLC130. When creating your post on your blog, please include a direct link to the challenge. hello friends!! if you live here in the states hope you are enjoying a day off for Veteran's Day! 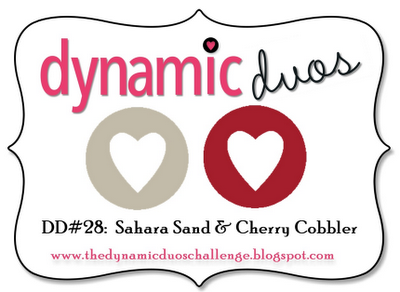 i have card that i made for a couple of challenges: the craft's meow monthly sketch challenge and the current dynamic duos color challenge: sahara sand and cherry cobbler. in order to get this card completed i really had to search through my stuff to find something close to sahara sand (note to self: buy some sahara sand cardstock!). finally i found one last scrap of pti soft stone cardstock. soft stone is lighter than sahara sand, but still works fine and shows up nicely against the white, i think. 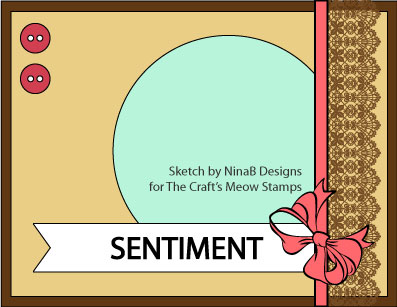 i used the craft's meow set simply delightful. the medallion was die cut using spellbinders plain circle dies and then matted with a second plain circle cut from soft stone. the flags were cut with my well loved and well used my favorite things fishtail flag stax dies. 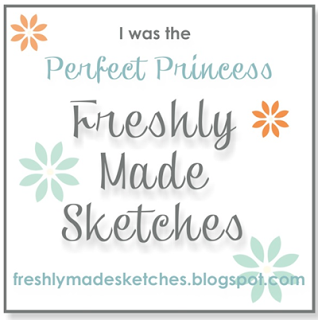 the background was embossed using the stampin up! fancy fans embossing folder. the little glitter dots up in the corner were originally white, but i custom colored them using a dark red copic marker. hello friends!! saturday afternoon has arrived in my part of the world and it is a really pretty afternoon, too! we usually don't have nice sunny days in the middle of november, but i'm going to take it!! here with my card for this week's Less is More challenge, which is to use a house. 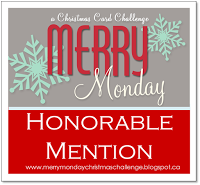 a few weeks ago i found out i was the lucky winner of a $100.00 shopping spree from penny black! and one of the stamps i got with that $100.00 was the pretty christmas stamp called "joyful birds". it features (as you can see) three sweet little birdhouses and i have been wanting to make something with it since it arrived on my doorstep. today's LIM challenge was the perfect opportunity. i stamped the image with memento's tuxedo black ink and then colored it up with various copic markers. when i was done coloring i had to stamp a second image so my little guy could color up his own version! he worked very hard to make sure he stayed in the lines and it turned out great! he is so proud of himself! after i did that i used my quickie glue pen to add glue lines and some ultra fine glitter. i think i added a bit too much glitter, but no going back now... lol!! hello friends!! another week is has come and gone! 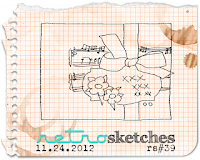 have a little card to share that i made using this week's colourQ combo, as well as the current retro sketch. 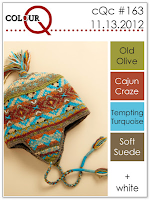 the colourQ combo is a fun one that combines one of my favorite colors (stampin up! 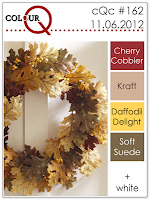 's cherry cobbler) with kraft, light brown, yellow and white. i wasn't completely sure that the yellow patterned paper would look good with brownish patterned paper, but they compliment each other nicely, i think... probably because i didn't use huge amounts of either! the ribbon is supposed to be kraft in color, but it is almost the same exact color as the brown patterned paper. anywhoo... the flower is from the stampin up! set everything eleanor which i love and the sentiment is from hero arts. this week's retro sketch is a really pretty one and so i just had to get something made using it. challenge closes in a few hours so i'm just squeaking it in! having said that i quite like how this little card turned out! 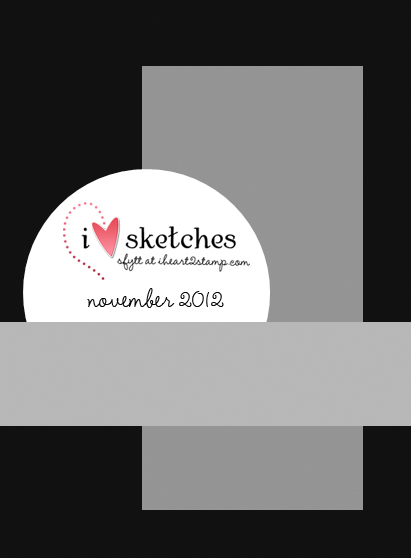 supplies: cardstock: pti white; stamps: hero arts & stampin up! 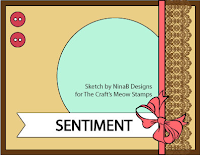 ; patterned paper: stampin up! 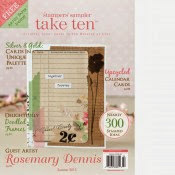 ; dies: stampin up!/sizzix doily die, my favorite things fishtail flag stax dies; inks: stampin up! hello!!! i'm back with my card for the brand new CASology challenge!! this week the cue word is "orange"... so many directions you can go with this one for sure!! our special guest designer is the very talented jean!! you can find all the details here. i wanted to make a kinda fun card this week.... one that combined a word with a image. i recently purchased an alphabet set from my favorite things that was perfect for what i wanted to do. originally i had die cut the letters from white cardstock and was going to adhere them to orange cardstock along with a trimmed out pumpkin, but when i started putting everything together it just didn't look very good. so i switched back to white cardstock piece with orange letters and a stamped pumpkin. a much crisper look for sure and don't you just love all that yummy white space??? i know i do... sigh!! i generally don't like to give out tips because for the most part i think that people figure things out on their own, but decided to share this one. when using alphabet letters and images together try to make sure that the scale is similar for both. this creates a very clean and pulled together look. thanks for stopping by....make sure you check out the cards from the rest of the design team: Melissa, Tracey, Jen, Ardyth and this week's guest designer, Jean! can't wait to see what you come up with using this week's cue word! Hello friends!!! Tuesday has arrived and that means time for a brand new Shining the Light challenge! Winter is just around the corner and so the challenge team is asking you to make a project that is predominately white. And as we are now into a new month we are also welcoming a new guest designer... the very talented Barbara Pace!!! Like alot of crafters I have a fairly large collection of Spellbinders dies and recently I noticed that they had come out with a set that coordinated with the Labels One dies. I haven't purchased many Spellbinders dies lately, but I knew the Decorative Labels One dies were ones I wanted to add to my collection. Once I got the new dies I had been wanting to make a card using them in conjuntion with the Labels One dies. This week's Shining the Light challenge gave me that opportunity. 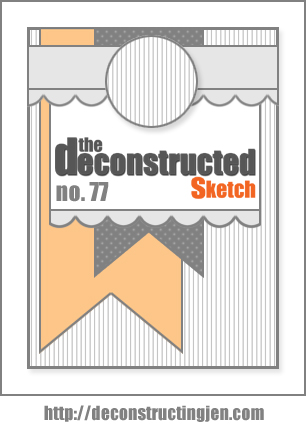 The layout for my card is based on the current Deconstructed Sketch. I die cut the card base using the largest Decorative Labels One die. Because the PTI cardstock I used is a little thicker than most cardstock I did have to run the die through multiple times to get a good cut. Much die cutting of additional cardstock using the Labels One and Decorative Labels One dies ensued before I ended up with the finished product. The ODBD set I used was Scripture Collection 5. Aside from the black ink used to stamp the verse I added a little bit of color by adding a light pink rose. As always, we will be giving out a prize, a $15.00 gift certificate to be used toward stamps at the Our Daily Bread Designs store!!! Entries for the prize must be submitted by Sunday, November 11th at 8:00 pm EST. One random winner will be chosen and announced on Tuesday. While it is not required to use Our Daily Bread Design images and sentiments on your projects, we would definitely love to see them if you have them!! As a way of recognizing those who do use ODBD stamps we will be choosing three or more of our participants for the Shining the Light Award. In order to qualify for this award or join the challenge, you must use ODBD stamps and have your submission added to Mr. Linky by Sunday, November 11th at 8:00 pm EST. 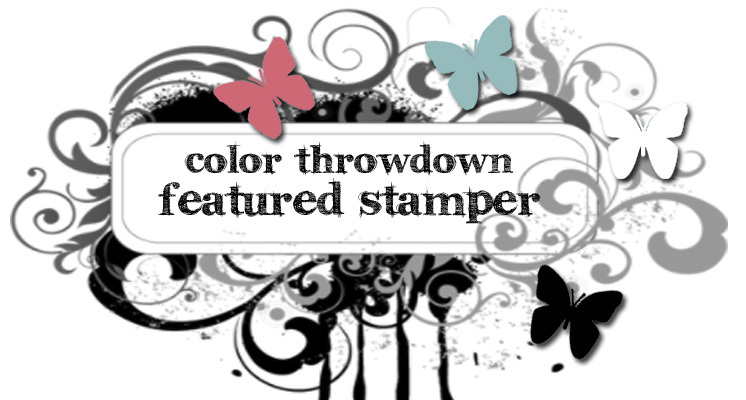 If you upload to Splitcoaststampers or any other online gallery, please use the keyword: ODBDSLC129. When creating your post on your blog, please include a direct link to the challenge. hello friends!! the weekend is winding down and i'm finally getting a chance to post a card for this week's Less is More challenge. this week is color challenge week and chrissie & mandi have chosen pink as the color. i had a couple of ideas for my card, but when i tried the first idea it just didn't work so it was back to the drawing board. i had just recently gotten the 2012 pti anniversary set and the matching dies. one of the stamps is the word "happy" and it has a matching die. i die cut the word and then stamped it with stampin up! 's pink pirouette. the butterfly from the set (also has a matching die) was cut and then stamped using stampin up! 's melon mambo. arranged the two die cuts where i wanted them and then stamped the word "day". once that was done i adhered everything and i was done. supplies: cardstock, stamps and dies: papertrey ink; inks: stampin up! hello friends! haven't posted in a few days so i thought i would share a couple of cards that i made earlier this week. for both cards is did some collage stamping. 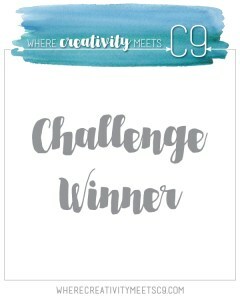 the first card was made for two splitcoaststampers challenges: the CAS challenge and the color challenge. 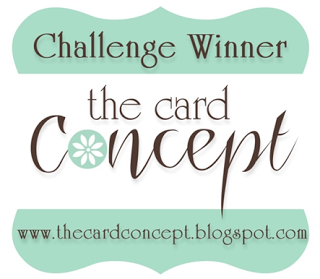 the CAS challenge at splitcoaststampers was to use collage on your card, stamping or otherwise. obviously i did collage stamping. i used three of my favorite stampin up! sets: bliss; vintage fresh and because i care. the ink colors are stampin up! 's cherry cobbler (my all time favorite red) and old olive. i started by stamping the border image using cherry cobbler. the hydrangea image was then stamped using old olive. i inked up the large damask image with some cherry cobbler and then stamped it off on scrap paper before stamping it on the cardstock. i followed the same process for the butterfly except that i used old olive ink. the sentiment was stamped using black ink to make it standout a bit more. i absolutely LOVE how this card turned out! the second card i made just for fun using some of my favorite hero arts stamps (hydrangea and carte postal) and the same color combo. for this card instead of using cream cardstock (as i did with the first card) i used white cardstock for the stamping and mounted it on a cherry cobbler card base. all the stamping was done following the method i set up for the first card. and once, again, i LOVE how this card turned out. in fact, both cards turned out exactly how i envisioned they would. don't you jsut love it when that happens??? i know i do! !